In our modern, highly connected, Internet age, information on virtually every subject is available at our fingertips. Medical information in particular is highly sought after — and easily found. Any tests we take, any information our doctors give us, anything and eveything can be checked on the internet so that we have a greater understanding of our situation and the treatments for it. However, it is extremely important to understand that the majority of information, including medical information, described on the internet is misleading, exaggerated, or just plain false. In fact, many times the information is actually dangerous. In 2018, Health Feedback, a network of scientists who collectively assess the credibility of health media coverage, collaborated with the Credibility Coalition to examine the one-hundred most popular health articles of the year. Their findings? Three quarters of the articles contained false or misleading information. Other articles lacked context or overstated the potential harm of various conditions. In other cases, it was clear that the data presented was “spun” in order to fit a specific agenda. The articles examined were from well-known websites, like NPR, and CNN. 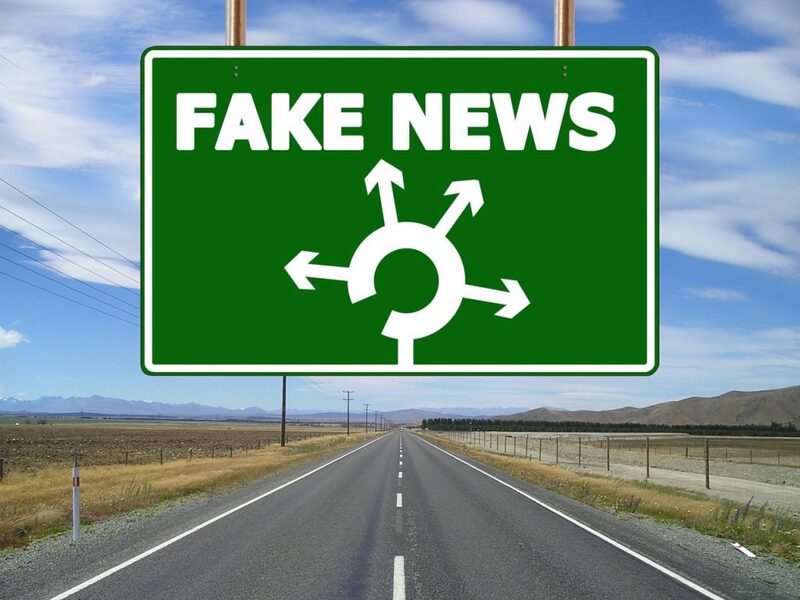 While most people would recognize the difference in credibility between the Mayo Clinic website and a private “lifestyle” website, or between the NIH website and an alternative medicine website, the difficulty of distinguishing fake news on otherwise credible websites can be difficult. In articles in which the author has an agenda, the false statements are intentional. One of the articles pointed out concerned mental health disorders: an article in the Guardian, entitled, Iis everything you know about depression wrong?” Nearly 500,000 people read this article, though experts concluded that it was not credible — and potentially extremely dangerous. The article’s author concluded that most cases of depression are not due to a chemical imbalance in the brain, but from a lack of “fulfillment.” No sources, no studies were presented to back up this claim. Nevertheless, with 500,000 people having read the article, it is likely that many people with clinical depression decided not to seek help. Another article, which was read by approximately 600,000 people made the astounding statement that eating bacon was as harmful as smoking cigarettes. Once again, no studies or research articles were mentioned to back up the claim. Yet these “medical articles” touting fake information appear on credible websites, and are read by hundreds of thousands of people. The question is why fake news seems to spread more quickly and more deeply than “real” news. The fact is that social media algorithms deliberately incentivize this process according to a recent report in the highly respected journal Science. Social media algorithms are designed to reach as many people as possible, and false stories often prey on emotions such as fear, disgust, and shock. Stories of this type can be especially appealing to readers, are widely shared. The dangerous spread of inaccurate health claims on the internet caused the AMA Journal of Ethics to request physicians to make great effort to clear up fake information with their patients. Unfortunately, this has been a losing battle. Although several websites, for example Facebook, have vowed to crack down on fake news, this task has proven difficult. Many of the fans of these articles consider elimination of the articles as an attack on Eastern medicine. In fact, after Facebook deleted 80 such accounts from their website, the Global Freedom Movement immediately demanded that Facebook must give clear reasons for deleting the accounts. Some of these accounts focusing on natural remedies, organic living; Just Natural Medicine (which has more than 1 million followers), Natural Cures Not Medicine (which has nearly 2.5 million followers), and People’s Awakening (which has more than 3.5 million followers) were among the purged accounts. The lesson for us is simple and important: just as it is crucial to choose a good doctor, it is crucial to choose a solid source of health news. At Laurel Bay Health and Rehabilitation Center, in the scenic beach town of Keansburg, NJ, we provide rehabilitation programs whose goals are to get our patients back to their optimal level of functioning and independence as quickly as possible. We provide a tailored program of physical, occupational and speech therapy, as well as all types of specialized care under one roof. We specialize in pulmonary care. Headed by leading pulmonary specialist Dr. Avtar Parhar, our program is the most highly advanced pulmonary rehabilitation program in Monmouth County. If you or your loved one needs care, there is no better choice than Laurel Bay.